So you want to start reloading? This is not a reloading guide. I think of this as a meta-guide. 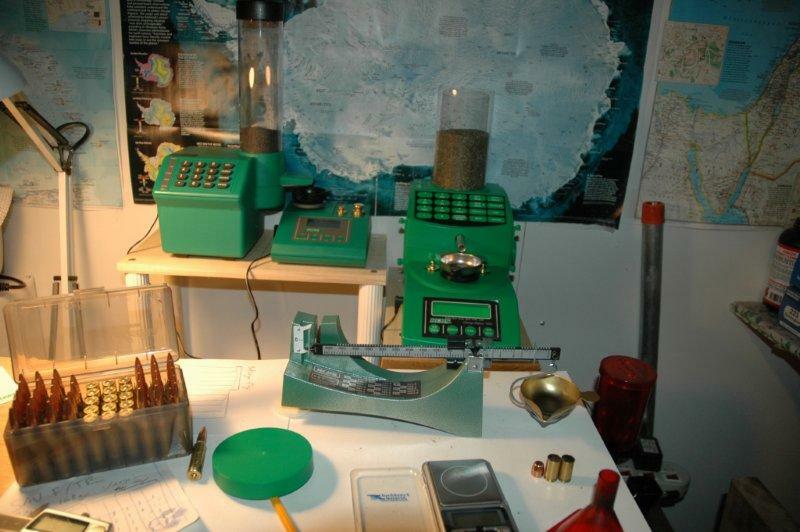 It is a collection of pointers - books, equipment, and a few thoughts that are not readily available in classic reloading guides which would help you avoid pitfalls easier. First and foremost, we have to ask the question - why? Why reloading? The answer depends on what kind of shooter you are. If you are a "plinker" - a rifle shooter that just likes things to go "boom", but does not focus on accuracy too much - STOP HERE. There is absolutely no reason for you to reload. Cheap surplus ammunition is readily available, and it will take tens of thousands of rounds before you recoup your investment into just the equipment - and it will probably never pay for your time. You might have seen videos on youtube of how easily people churn out ammo on progressive presses. Bad news: you have not seen the whole story. 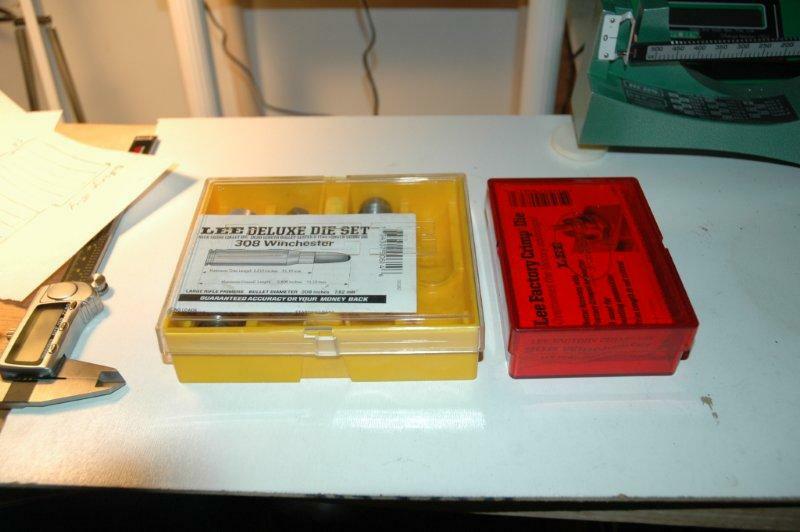 The videos usually start with the cases already prepared - measured, cleaned, and often new or deprimed and resized. The truth is, much of the time goes into these first steps that the videos skip over. Reloading rifle ammunition is hard and relatively expensive proposition, and it will not save you too much money if all you want to do is plinking. If you are a pistol shooter, however, the story changes quite a bit. 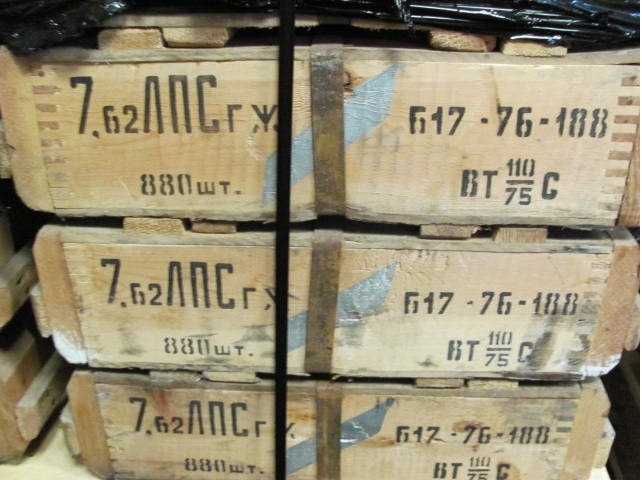 First, there is not too much cheap surplus ammunition on the market. Second, preparation steps for most straight-walled pistol cartridges are much, much easier than the bottlenecked rifle rounds. Depending on your rate of shooting, a progressive press might pay for itself in a relatively short time. Loading equipment would run you $400-$700 - depending on the loading rate (rounds per hour produced). This comes from the factory already pre-setup, and contains more or less all you need, other than a caliper ($25), a loading manual ($30), and a cheap electronic scale for calibrating ($20). A few hundred cases bought off a local range for $20-$30 will last you a very long time. The net cost would be $500-$800. Variable costs, per round: bullet $0.10 (standard) to $0.20 (competition), primer - $0.02-$0.03, powder - $0.02-$0.03, to the total of $0.15-$0.25 per round. Typically, factory loaded ammunition costs from $0.30 (standard) to $0.60 (competition) per round, so the savings are from $0.15 to $0.30 per round. The equipment recoups its cost in 2000-5000 rounds. If you shoot a 50 round box per week, the resulting time is 9 months to 2 years. I must forewarn you - I started reloading for precision rifle shooting, not for a pistol. I do pistol reloading, but because most of my focus is on the rifle, most of the information in this guide would be more interesting to the rifle shooters. I do not, for example, have a progressive press. If you do shoot an accurate rifle and the accuracy is important to you, then reloading is a must. Despite many claims to the contrary, I am yet to encounter the ammunition that would be as accurate in my rifles - any of my rifles - as my hand loads. Loading for precision is not economics proposition - these rounds will cost a fortune in your time - but this is the only way to fully realize what your rifle is truly capable of. Done? Excellent! Over time you will probably accumulate quite a lot of reference material. Because incorrectly loading a cartridge can be extremely dangerous - your firearm can literally explode - people who risk producing the information prefer that you pay for it. Either way, I recommend getting the Lyman reloading guide above, because it is not manufacturer-specific, and has loads for bullets and powders made by many companies. And... you've got the micrometer, right? Because it is probably the second most important piece of the equipment, after the reloading guide. Ok, now that the Amazon part is done and while you are awaiting the delivery, what else do you need? Rifle brass will last you many reloads, so its amortized cost is insignificant - regardless of the initial price. I do recommend buying benchrest quality brass for precision rifle loading - Lapua, Nosler, or Norma. Norma is the most expensive, a bit hard to find, but in my testing produced the best bullet runouts. You can also buy once-fired military brass, but you will spend a lot of time doing case preparation for it. In the end, I am not sure it is worth it. For pistol reloading I found that once-fired brass that can be bought on many ranges works well. I do sort my pistol brass by headstamp: the internal capacity varies quite a bit depending on manufacturer. Luckily the brass my range sells is consistently S&B, which is very durable, thick brass - I love it! Sierra Match King is probably the most widely regarded match bullet. Lapua Scenars are amazingly good as well, but are more expensive and harder to find. These are the ones I use routinely. I do not have statistically-significant result to speak of accuracy of pistol bullets. I use Federal Match Primers exclusively. They are cheaper than CCI Benchrest primers, and are more or less standard fare for benchrest loading. 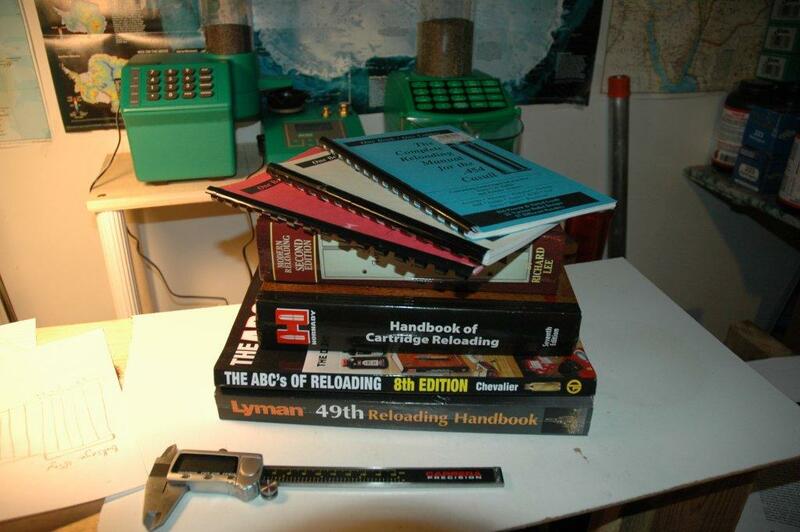 Most of reloading guides publish loads for Federal Match primers. HOWEVER, if you plan to load for a semi-automatic gun, YOU SHOULD USE CCI PRIMERS, specifically, M34 for large primers and M41 for small ones. Semi-automatic weapons require thicker primer cap, otherwise slam fire can occur when a free-floating striker hits the primer on the return movement of the bolt. The powder load depends on caliber. I recommend buying a few different powders and trying them out. Accuracy can vary considerably! A few useful facts about component selection. Prefer slower-burning powders for firearms with longer barrels. A load that is accurate in cases by one manufacturer might perform differently in cases by another one, or even a different lot from the same manufacturer. Case capacities vary, and pressures vary accordingly. Always sort cases by headstamp! Develop the loads separately for different headstamps. Accuracy of a load depends on ambient temperature. Varget is very resistant to variations in temperatures and produces consistent results in different weather. Varget's characteristics vary quite a bit lot to lot. Buy it in large lots and re-do load development when you switch to the next one. Generally buying primers and powder locally is cheaper than buying on the Internet. Shipping powder and primer is very expensive, so unless you are buying it in very large quantities, buy it locally. Cabelas usually has the best local prices on powder and primers. You will be getting a lot of dusty cases off the range floor, and before they can be processed, they should be cleaned. Range dust has significant amount of lead pollution, so this is a very important step. To clean the cases, you need a tumbler and media. There are liquid media tumblers that clean via chemical agents or stainless steel media, dry media cleaners that use corn and walnut granules, and ultrasonic media cleaners. I have not used the liquid media tumblers, so I cannot personally recommend them. I have used ultrasonic cleaners, and I personally DO NOT recommend them. Which leaves the dry media cleaner. Hint: place the tumbler somewhere where the dust from it can be washed down efficiently. It contains significant amounts of lead! For example, I do all my tumbling and media separation inside the basement laundry sink, and then wash the dust off. 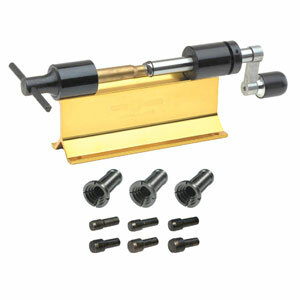 The following kit is cheap and works well: GRAF TUMBLER KIT w/MEDIA/ TUMBLER/SEPARATOR/POLISH. For pistol reloading, the only other thing that you will need to do is to measure the case with the micrometer to ensure that the overall length (OAL) is correct for the caliber. Pistol cases do not usually flow, and OAL does not change. When it does it is often easier to just throw the offending case or two away. However, Lee does make a very inexpensive cutter, so you can keep it on hand - along with the right pilot for your caliber - just in case. (a) A case trimmer. Rifle brass "flows" on firing, the case lengthens, and must be trimmed back to the spec length. This is essential for safety, and unlike the pistol case, it is a very frequent procedure. The Forster Original Trimmer Kit works very well, but the pilots are caliber-specific - make sure that the ones that are included match yours, and if not, get the right one. (b) Case lube, pad, and case neck brush. The cases must be lubricated before they are resized. 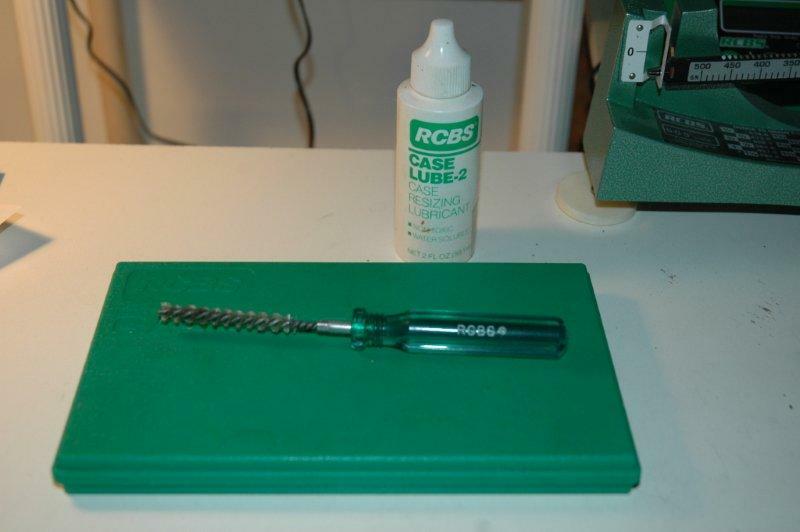 RCBS equipment works fine, but fundamentally the brand does not really matter. Go by the price. (c) After the case has been trimmed, the case mouth needs to be chamfered and the deburred. The leftmost tool on the picture below does this, but a significantly less expensive tool from Lee Precision does the job equally well. Primer pocket uniformer cuts the primer pocket to the same size on all cases. Important if milsurplus cases are used, less important if you stick with top benchrest brass producers such as Norma, Nosler, or Lapua. Primer pocket brush helps clean the primer pockets. The flash hole deburrer removed burrs from the inside end of the flash hole. This only needs to be done once, and does not need to be done at all if you use benchrest class brass. Finally, if you use milsurplus brass, the primer pocket often needs to be decrimped. 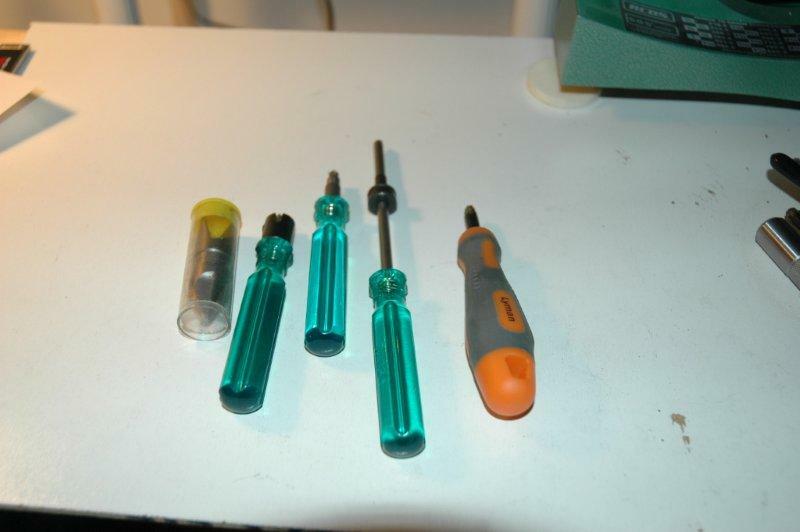 Tool from Lyman (the one on the right) is shown, again, brand does not matter. Either way I recommend Lee Precision dies. For pistol, 4-die set contains all dies you need to produce the round. It are made of carbide steel - perfect for progressive loaders. For rifle cartridges Lee Deluxe dies do not come with a crimp die, so you should purchase Lee Factory Crimp die separately. If you are loading for benchrest bolt action, crimping is not essential. But they are cheap, and you might want to grab all you need in one go. The reason I like Lee dies is their neck-sizing die. It is very easy to use, and I have personally verified Lee's central claim for it - it indeed does not increase the bullet runout. The rest of their dies is rather generic, and for rifle bullet seating I would not recommend their seating die at all. Note: the quality of the full-sizing die does not really matter if you are shooting a bolt rifle. You will be only using it the first time, and only do neck sizing afterwards. Any inexpensive full-sizing die from a major die maker would do - the real sizing would be done by fire in your chamber! Our prices on firearms cannot be beat! If you plan on buying military range surplus brass - there is tons of it floating around for very cheap - you will need to pick up the small base sizing die. Normal dies do not do much for the base of the cartridge, and machine gun fired miliary 308 cases have their bases expanded sufficiently so that they do not chamber. In addition to that, the primers on military brass are crimped, so if a lot of it will need to be processed, a press-mounted primer pocket swager might be very useful. If you are going to be loading pistol cartridges, I do not have a personal recommendation for you, as I own no progressive loader. The Internet seems to swear by Dillon. Looking at their site, I would avoide their cheaper offering (Square Deal "B") because of non-standard die set, and would probably get XL650 if I were to buy it for myself. Here is another (more researched) perspective. 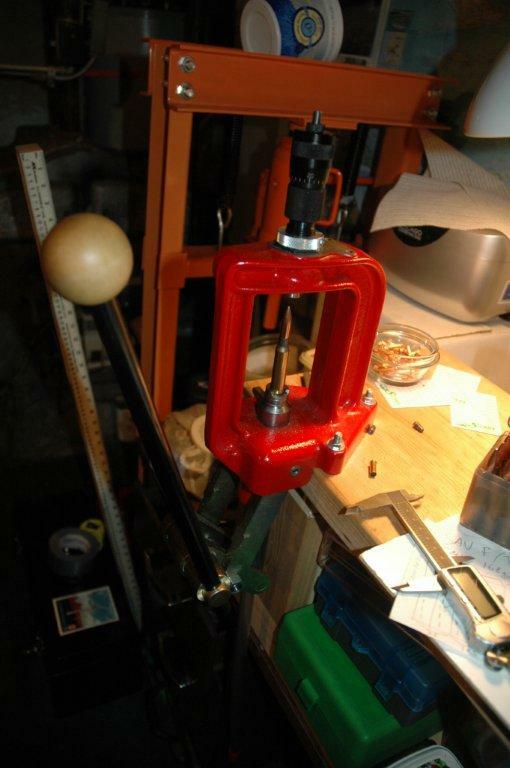 For rifle cartridges, stick with single stage presses. Precision is super important here, and the fewer moving components that can go out of alignment is the better. I have tried a number of Lee presses (and handled a bunch of others) and settled on their Classic Cast model. It is relatively inexpensive, the primer system is very easy to work with, and my instance has no play in it at all. Avoid Breech-lock presses, however. It sounds like a nice concept, but I could not eliminate the play in what to me appears to be the most critical component - where the die screws into the press. Lee presses have integrated primer seater. They also have this thing called AutoPrime. Avoid: it is fairly hard to set up and I could never gotten it to work reliably. Putting a primer by hand is not that hard. 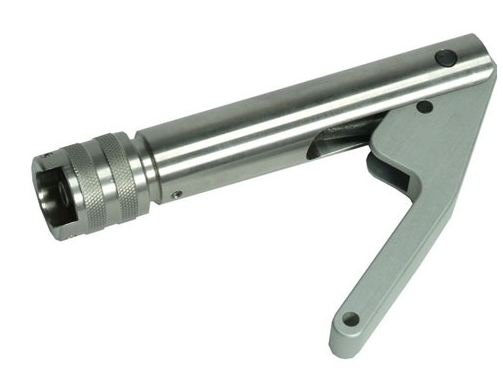 Once you get to the next level of your reloading career, you will probably be using a manual primer seater such as this Sinclair priming tool. You should start worrying about consistent depth of the primer seating after your groups are consistently below 0.5MOA. You need a powder scale. To start, I recommend a solid beam scale such as RCBS 505. Beam scale is a mechanical device that is not susceptible to various failure modes present in electronic scales. 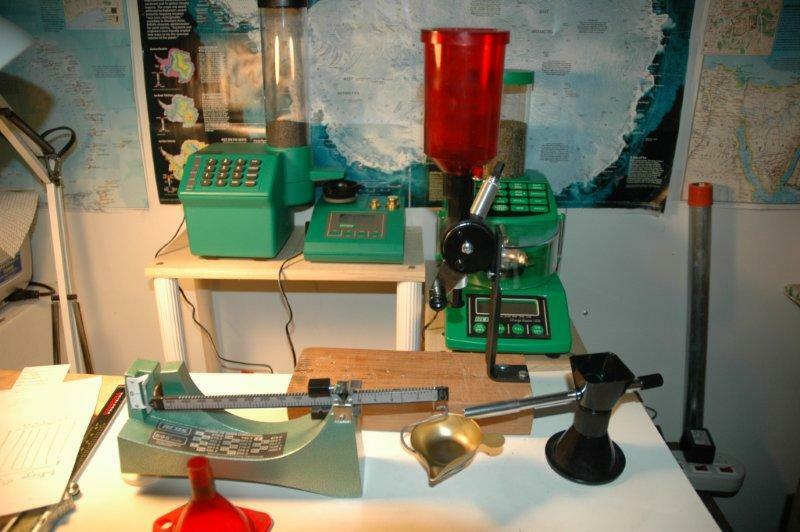 Yes, you will probably end up with an electronic scale and the trickler system - or even two - but to start, you need a quality beam scale (which in the future you will be using to cross-check your electronic equipment). Why are there 2 electronic powder dispensers in this picture? 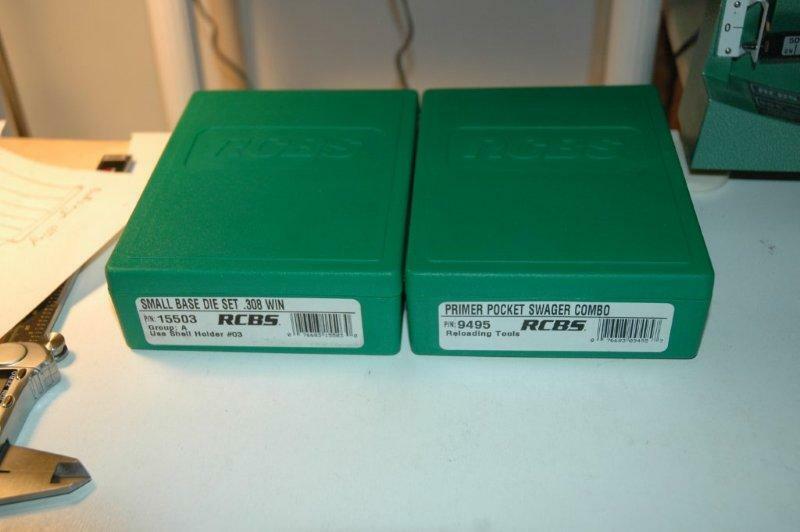 Because I use two powders regularly (one for pistol, one for rifle loading), am too lazy to drain/refill it all the time, and was able to pick an older model of RCBS dispenser for very cheap at a local range member event. In addition to the scale, you will need mechanical trickler (this allows you to compensate for variations of the powder thrower) - brand does not matter, Lyman is shown, a powder funnel - brand does not matter, Lee is shown, and a powder thrower. I am going to bet that eventually you are going to go with the electronic dispenser anyway, so buying a super expensive, super accurate powder thrower does not make much sense. I used a very cheap and not so accurate Lee thrower set to throw weights "just below", and compensated with the mechanical trickler feeding directly into the scale pan. After getting the hang of it, I replaced Lee thrower with RCBS electronic dispenser which works really well. You should, too. By the way, there are lots of cheap electronic scales for sale on eBay. Grab one to cross-check your setup, but DO NOT use it as your primary scale. For starters, these are designed to measure stable weight - you cannot trickle powder onto them. This is the artefact of the code that runs in these scales, which presumes that the change of weight indicates the need to recalibrate. More expensive expensive scales are designed for it, the cheapest ones are not. In addition to that, the cost of an incorrect weighting might be huge - a blown rifle and parts of your face gone. Is it really worth it? Do not try to pinch pennies on a scale. This is one of the more important stages of the reloading process. If the bullet is seated not exactly straight, it engages the rifling at an angle, and then wobbless as it is pushed through the barrel. The key to maximizing concentricity is a very, very good bullet seater dies. I use Forster Competition seater dies - I have them in all calibers for which I reload. They also have a micrometer controlled seating depth, which is extremely convenient. 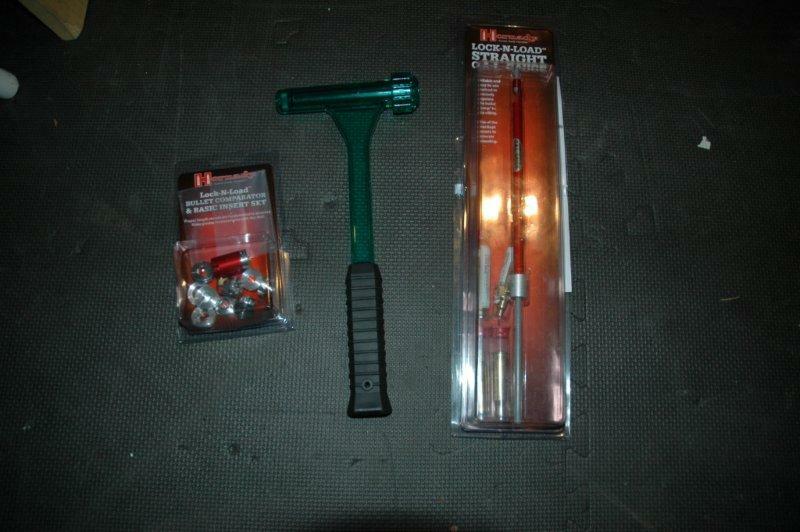 Speaking of which, to measure the proper seating depth for your rifle you will need this set of tools. From left to right: bullet comparator - allows measuring dimensions not from the tip of the bullet which is usually very non-uniform, but to the bullet's ogive, which is far more consistent; bullet puller, allows you to correct over-seating of the case; OAL gauge which measures the chamber in your rifle to determine the ideal seating distance for the bullet you are using. Finally, do not forget a few boxes to store loaded ammunition. It's a good question. Kits come in "levels". 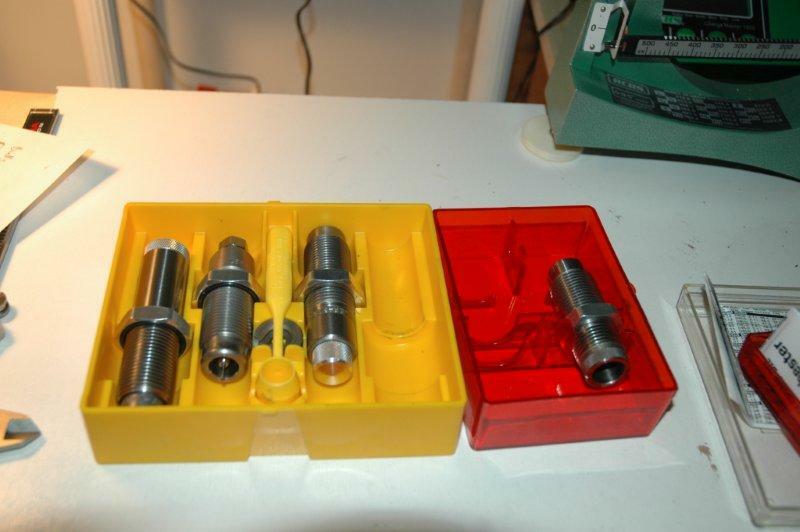 Definitely do not buy an "entry level" reloading kit - they are basically a collection of garbage. I started with the Lee "anniversary" kit, and the only thing that I am still using is the powder funnel. 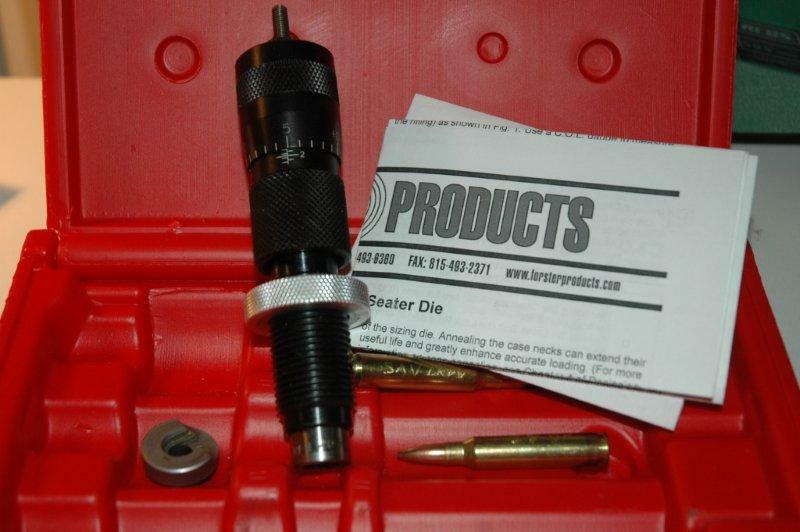 You can buy an intermediate or advanced kit from Redding, or RCBS, or Hornady. These will work better, but I have a feeling that buying things separately would still in the end save money on an "ideal" setup. By doing so you can strategically buy certain things that will last - and therefore go above the "kit quality" - and certain things that you know you will throw away - such as Lee powder thrower - but you need them to just get a hang of the process. As I pointed out below, avoid cheap scales - electronic or otherwise. Not all electronic scales behave correctly when weight changes - the powder is trickled onto the pan - so if you really, really, really want to go electronic, at least buy a good reloading brand name. 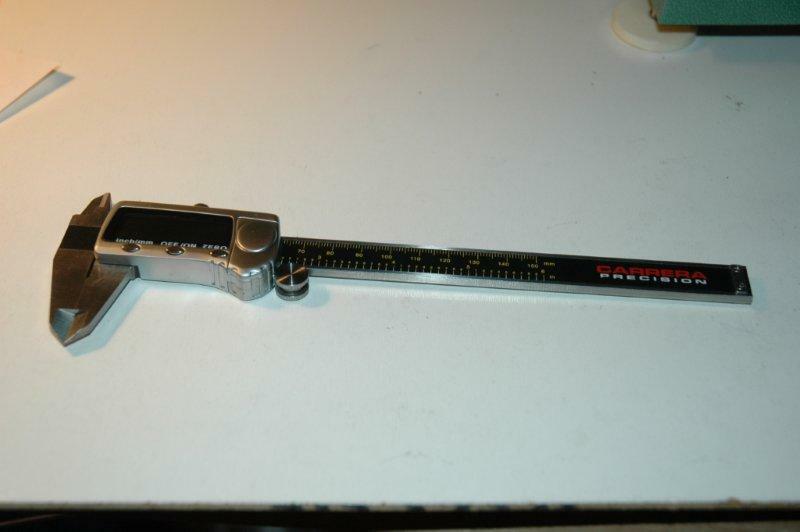 On the other hand, cheap scales from eBay can be used to cross-check other scales and weigh cases and bullets. I would say that initially you should get RCBS 505, and then keep them for calibration and cross-checking and get RCBS electronic powder dispenser. There is a lot of talk about impact of bullet runout on accuracy, and tons of gizmos that detect and correct it. You should start worrying about it when your rifle reliably shoots under 0.5MOA. I found not statistically significant impact of bullet runout on loads that shoot above 0.5MOA. Should I buy locally or on the Internet? I've been toying with the idea of putting together a "Precise Shooter reloading package". At some point this may happen, but at the moment it is not obvious that the wholesale prices, plus shipping (distributors - especially ones that also do Internet retailing - have a nasty habit of charging dealers more for shipping), plus taxes (I have to collect the tax, and online retailers don't) would result in a price that would be better than the Internet. I found High Power Rifle reloading with G David Tubb to be an illuminating and easy to understand guide to advanced loading.